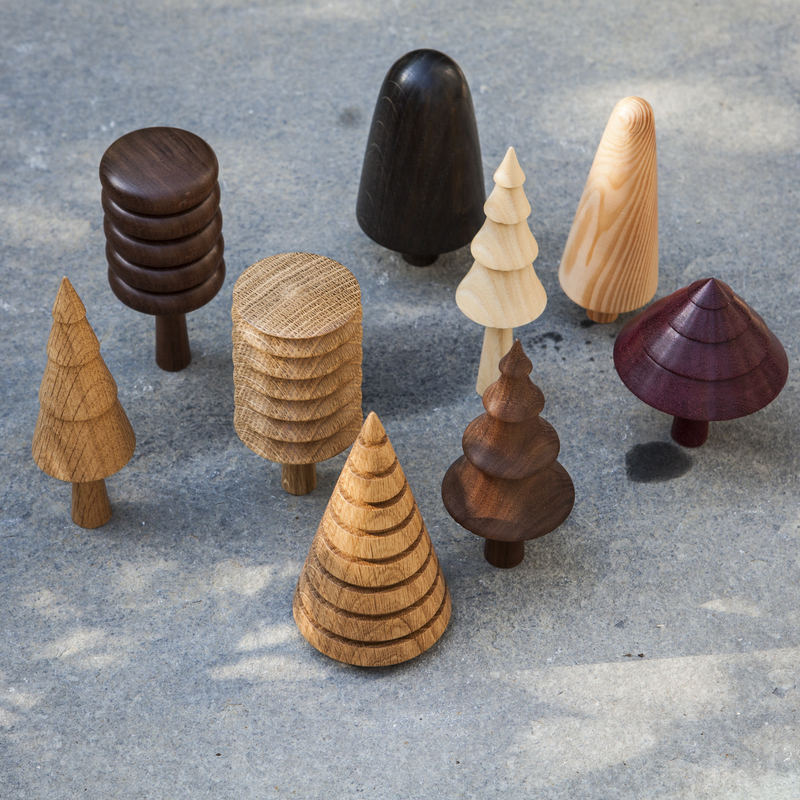 These collectible, abstract tree ornaments by Forge Creative are hand-turned on a lathe. Each one is unique, highlighting the handmade process and variations in the natural woods used. 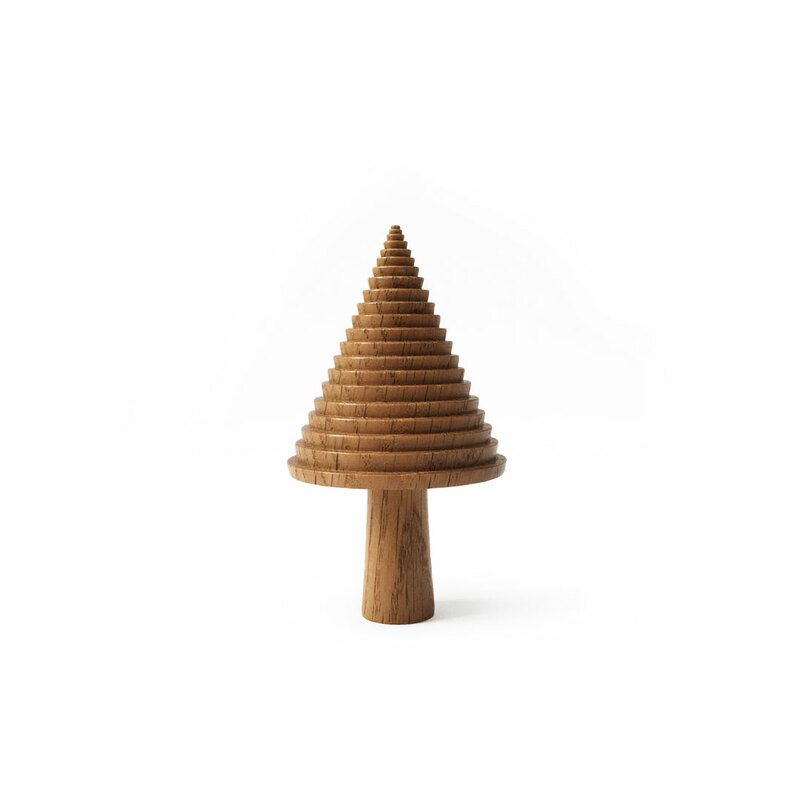 Start your own forest today. 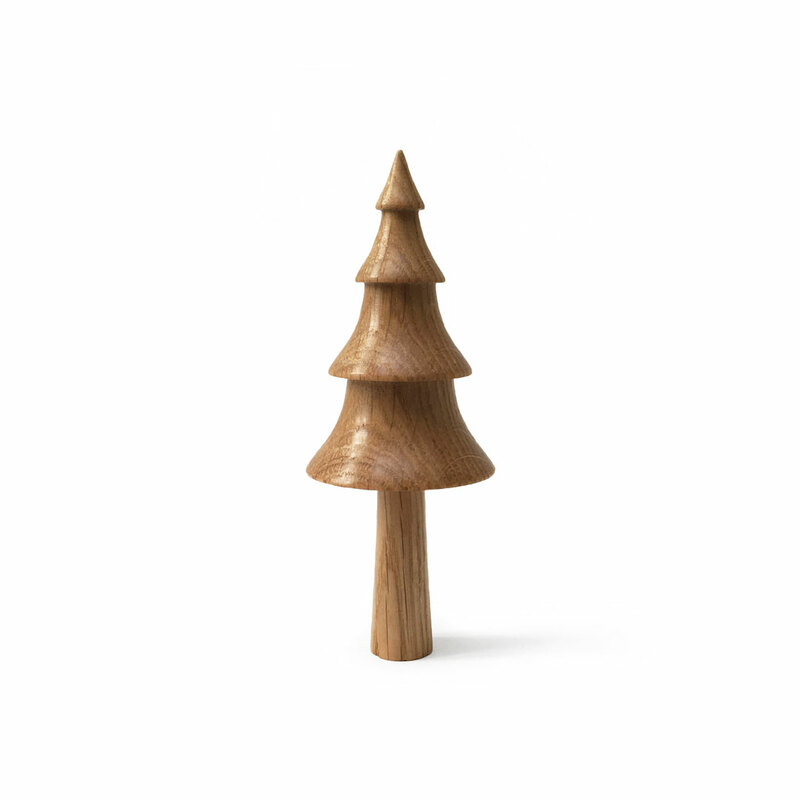 SKU: Small triangle tree. 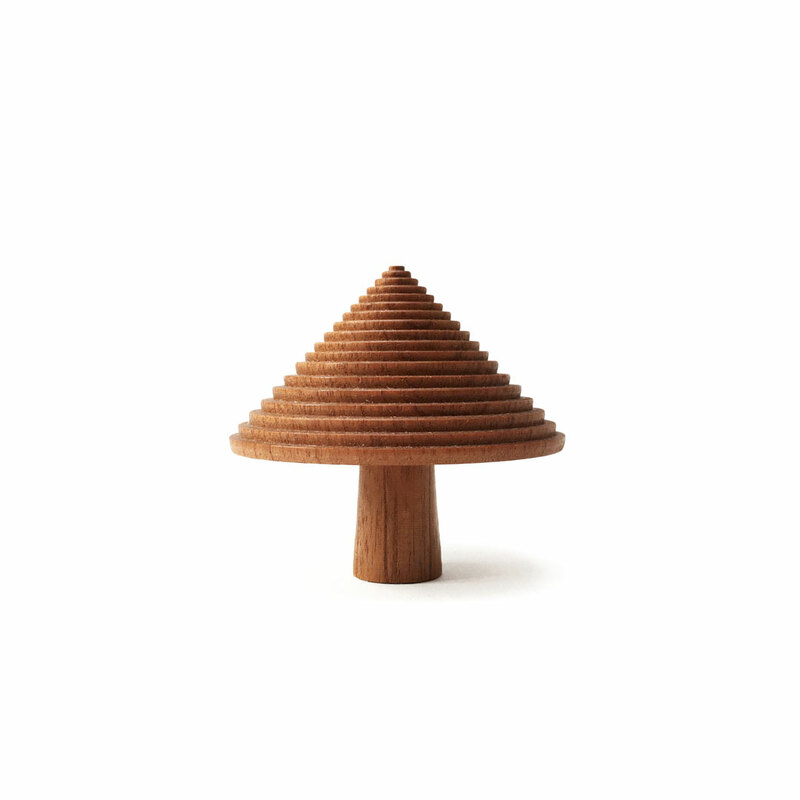 Categories: Spring, Home, Wood.